The back cover of TYCO's 1966-67 product catalog featured images of four new rolling stock offerings announced for delivery in the fall of 1966. 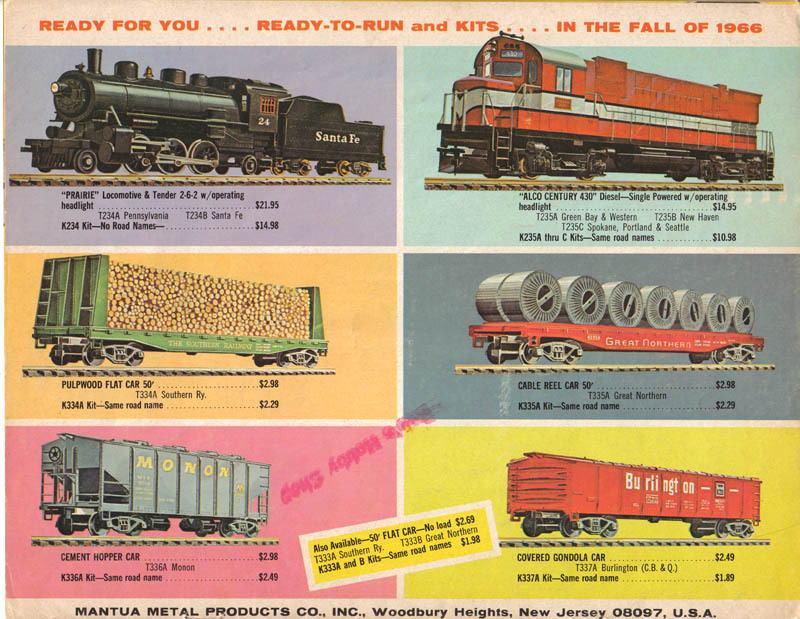 The 50' Pulpwood Flat Car is among this group of new cars for '66 with a $2.98 retail for a ready-to-run example and $2.29 for a kit version. The TYCO kit for the Pulpwood Flat Car carried stock number K334A. Either way, Southern was the only roadname. The original catalog illustration shows a green car with yellow lettering. TYCO's production examples were red and black cars with white lettering.